NEWS from Dr. Lucci’s latest research - We are now assessing blood samples from our high-risk breast cancer patients- such as triple-negative or inflammatory breast cancer, or locally-advanced patients- to look for mutations within the blood- also known as a "liquid biopsy"- to identify those mutations that can be used as targets for new drug therapy. One example would be to look for mutations in PIK3CA and adding a drug known to act against this. This is the way of the future! I believe that in the near future we will be able to identify certain mutations that will guide our therapy choices, allowing us to choose the drug most likely to kill the tumor. This will be a big advance, and its coming in the near future. in case we think its far off, recently such a mutation was found in lung cancer patients, and now such a liquid biopsy is used in the clinic to help guide lung cancer treatment. We are hopeful that breast cancer is not far behind. "Triple‑Modality Therapy Achieves Good Control in Inflammatory Breast Cancer"
Anthony Lucci, MD, Professor of Surgery at MD Anderson Cancer Center and the study’s senior author, emphasized the relevance of their findings. “We frequently see patients with inflammatory breast carcinoma who are being told, ‘There is no reason to remove the primary,’ or ‘You are not a candidate for mastectomy.’ In our study, using an aggressive approach to resection of the primary, we were successful 99% of the time in achieving negative margins by performing a modified radical mastectomy after neoadjuvant chemotherapy,” he said in an interview. Dr. Rosso added that the surgeons closely examine the pretreatment photos to better appreciate the degree of diffuse skin involvement. “We don’t spare much skin. We take everything off the muscle and include the muscle when it is involved,” she said. In most cases, primary wound closure is possible; in about 15% of cases, the wound requires a tissue flap by a plastic surgeon. Since the partnering of Dr. Anthony Lucci's Breast Cancer Research at The University of Texas MD AndersonCancer center and the Emma Jacobs Breast Cancer Foundation, we are now knocking at the door of successfully raising close to $200,000!!! We are thrilled to report that our November 5, 2015 EJBCF Color Me Pink event raised over $40,000! That combined with past years fundraising by the foundation, we can now proudly announce that we have donated just shy of $200,000 to Dr. Lucci’s brilliant endeavor for breast cancer research. I would like to thank you for your generous support of my micrometastases research at The University of Texas MD Anderson Cancer Center. We could not have realized our exceptional advancements this year if not for your generosity and devotion to our research program. The last few months of 2015 were very eventful, and we are excited about upcoming 2016 projects! As some of you know, in late 2015 we published paper in the Journal of the National Cancer Institute describing the role CTCs play in disease progression in stage III inflammatory breast cancer patients. This is important since it could be used to identify those patients at higher risk for relapse, thus enabling us to intervene before a relapse occurs. We already have a paper published in 2016! It is a study we spearheaded with our European colleagues, Pooled Analysis of the Prognostic Relevance of Circulating Tumor Cells in Primary Breast Cancer, which has been published in the journal Clinical Cancer Research. This report, which included more than 3100 stage I-III breast cancer patients, is a multi-institutional study (Germany, France, Netherlands, and our group) showing that one or more circulating tumor cell per tube of blood predicts relapse and death. This is a groundbreaking report because it demonstrates that as few as one circulating tumor cell can be reliably identified amongst many different clinical laboratories. More importantly, it clearly demonstrates that circulating tumor cell assessment is a valuable tool for predicting relapse in breast cancer patients, even early stage patients with T1/T2 tumors. We can now characterize CTCs from stage I-III patients so that targeted therapies can be developed to kill these harmful cells. We now have the ability to isolate single CTCs, amplify the DNA sequences within each CTC, and perform molecular analyses on individual cells to determine if CTCs harbor mutations that promote metastasis. Simultaneously, we are identifying additional factors that tumor cells shed into the bloodstream that can be used to develop new individualized treatments for patients. We have analyzed blood from 30 stage III triple negative breast cancer patients for tumor-derived DNA (DNA released by tumor cells into the blood. Another tool tumor cells use to promote cancer spread are exosomes. 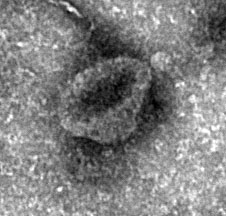 Exosomes are like “microscopic balloons” that cancer cells release into the bloodstream. These balloons are filled with proteins and RNA that can travel in the blood to distant sites, such as the bone, lung, and brain. The exosomes actually enter the cells at these distant sites and “prime them” so that the cancer cells can establish metastases later. We have analyzed blood from several breast cancer patients and compared exosome proteins in patients who have recurred and those who remain disease free. Together, these combined results can be used as “liquid biopsies” that will facilitate the development of individualized therapies to eradicate CTCs, and specific DNA mutations and proteins in the blood that can be used to predict disease progression while concurrently identifying new targets for drug development. Most importantly, none of this work would be possible without the generosity of each of you in helping us have the resources available to reach our goal of eliminating cancer. Thanks again for being a part of our team! This is an electron microscopy picture of an exosome cross section Isolated from a stage II breast cancer patient’s blood. Over the past year we have made some important advancements in our knowledge about how breast cancer spreads by depositing cells into the bloodstream. And we could not have realized these advancements if not for the incredible generosity of our donors, including the Emma Jacobs Breast Cancer Foundation. As a result of your participation, we have identified, characterized and validated the importance of harmful circulating cancer cells (CTCs) and disseminated cancer cells (DTCs) in operable breast cancer patients. Last year we published a first-of-its-kind paper in the Lancet Oncology demonstrating the clear prognostic significance of CTCs found in early-stage breast cancer patients. We have recently submitted a paper demonstrating the prognostic significance of CTCs in triple negative breast cancer patients to the journal Cancer. We are also developing methodologies to characterize CTCs and DTCs so that targeted therapies can be developed to kill these harmful cells. In 2013 we published a paper in Cancer Medicine demonstrating that most CTCs and DTCs express a protein called HER2, even when it is not expressed by a patient's primary tumor. However, these patients are not offered standard anti-HER2 medications (such as Herceptin) that could kill these DTCs and CTCs because current cancer treatment decisions are based solely upon primary tumor characteristics. Our paper highlights the need for trials examining therapies directed against targets expressed by both primary tumor and CTCs/DTCs to improve outcomes for breast cancer patients with CTCs and/or DTCs. We have also recently submitted a paper showing the importance of CTCs in triple-negative breast cancer patients. This report is particularly important as triple-negative patients have only limited therapy options. Our next step is to characterize genetic mutations in the CTCs in these patients so that new, targeted therapies can be identified to improve outcomes in triple-negative breast cancer. If any of the readers are interested, we would be happy to forward copies of the scientific manuscripts we have published. We again want to stress that many of these projects were funded through your generous donations, so we are happy to send copies of our results to those who have an interest in knowing more. We will continue to study and identify novel ways to prevent breast cancer metastasis and improve survival for all patients with cancer. These studies would not be possible without the generous support of people like you. We truly appreciate all you do for us.